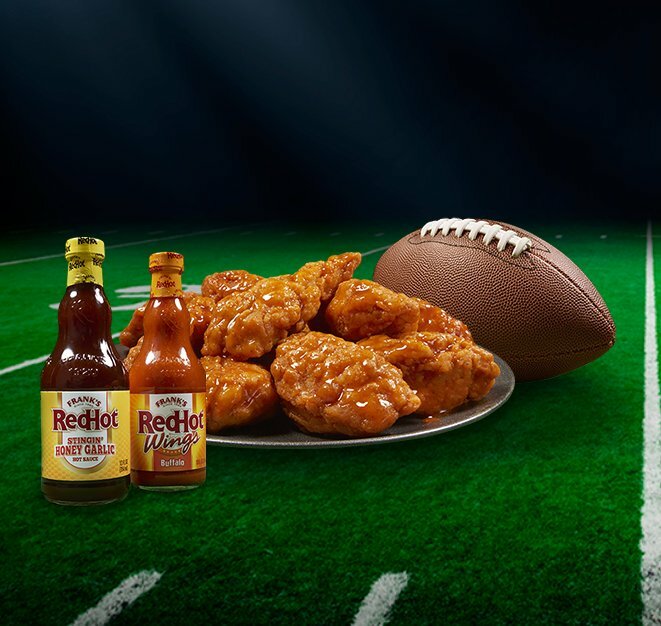 Text WINGS, TICKETS, FRANKS, BIGGAME, or BUFFALO to 88001 to win a $17,000.00+ trip for 2 to the Big Game in Minneapolis, MN - includes airfare, 3 night hotel stay, Cocktail Dinner Reception with a VIP guest, tickets to a VIP Dinner Event, and a VIP Sports Party. A trip for 2 to the Big Game in Minneapolis, MN - includes airfare, 3 night hotel stay, Cocktail Dinner Reception with a VIP guest, tickets to a VIP Dinner Event, and a VIP Sports Party. (11) Frank’s RedHot Yeti-Tundra 45 and a Frank’s RedHot Schwag Pack: T-shirt, Koozie, Bottle Opener, and Stainless Steel Water Bottle. ARV: $460. 100 SECOND PRIZES: Frank's RedHot Schwag Pack: T-shirt, Koozie, Bottle Opener, and Stainless Steel Water Bottle. ARV: $24.